Since the inception of digital technology, it has been becoming an integral part of our life and living. From ensuring more and more improvement in various spheres of life to providing us with the error-free solutions and information, the digital revolution has changed our lives for better. Needless to say, with more advancement of the technology, it has become an inseparable part of our health and medicine too. Since it has been acknowledged globally that in the sector of medicine, a nation cannot afford to have too many chances with the lives of patients, it has become necessary to provide flawless diagnosis and treatment to the mass. And to ensure 99.09% error free diagnosis, digital pathology plays a pivotal role in health and medicine sector globally. Digital pathology, also known as virtual pathology or virtual microscopy allows to store, manage, analyze and interpret medical information with the aid of digital solution that coverts regular glass slides into digital slides with a highly efficient scanning device. With the automated digital procedures, the diagnosis is coming out faster with higher accuracy level. The leading pathological labs in India, including the pioneer like Dr. Lalchandani Labs, are also incorporating digital pathology in their procedures to ensure more flawless results that will eventually help in the proper treatment of many critical diseases like Cancer. 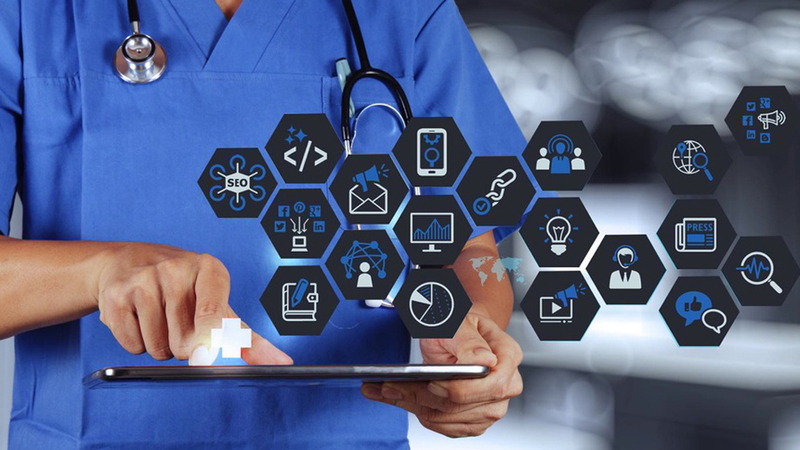 Take a look at the following points to know how this emerging technology is becoming an important part of healthcare industry. The global digital pathology market which was worth $250.2 million in 2013 is expected to reach $440 million in 2018. The approximate growth rate of the technology and its incorporation is supposed to be around 11.8% during this whole period that has been forecasted. When North America, Europe, and Canada are majorly dominated with the technology of digital pathology, Asia, especially India, China, and Japan are said to have the maximum potential of growth of digital pathology in the market. The following factors are actively contributing to the growth of the technology in the current market scenario. The alarming rise in the cases of cancer is indicating towards the fact that it is highly essential that the patient gets diagnosed at the early stage of the disease. Otherwise, in most of the cases, it becomes too difficult to treat the ailment owing to the late procedure of diagnosis. Such time-consuming process is one of the reasons why the survival rate of patients suffering from cancer is low, globally. Improving lab efficiency is becoming extremely necessary to ensure better treatment procedure. And that can only happen if the process of diagnosis starts depending on digital technology instead of manpower. It will also help in dealing with the errors in the test results too. The increasing demand for personalized medicine and affordable scanners are helping to boost the growth of the market further. In a nutshell, though there are certain bottlenecks like the highly expensive systems that digital pathology includes, the regulatory concerns and above all, the dogmatic approach of the pathologists towards it, digital pathology offers immense possibility in terms of faster and better diagnosis and treatment. When the renowned specialists like http://lalchandanipathlab.com/ are embracing this technology, it can be safely said that the Indian market will witness an extensive growth of it too.